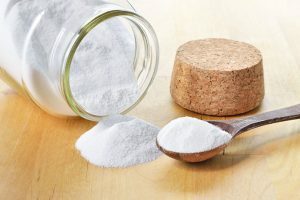 Baking soda most homemakers use in the kitchen – like a baking powder for baking or eco-friendly scouring powder. Some soda comes in handy as a hygienic tool. It is a good regulator of sweating for different areas of the body. And only a few apply sodium bicarbonate (scientific name) in cosmetology. Do not forget that baking soda is a chemical compound. That is why it is necessary to mix, shake up and beat it with other substances competently, taking into account the properties of the elements of the composition and the reaction to specific components. To play the alchemist when it comes to his face is dangerous and unprofitable, the incompatibility of the components is fraught with rashes and even burns. 1) Use fresh baking soda. Without delay, without lumps, not stale in the bins and not damp. 2) If water is used for the composition of tonic or mask on soda, then it is filtered water or mineral water, non-carbonated, with a minimum content of salt additives. 3) Mask based on sodium bicarbonate requires a test. You can check the reaction to the soda composition if you put a small part behind the ear, on the wrists or the elbow bend. Lightly rub in, wait for 10 – 30 minutes, then remove with abundant rinsing. If you felt discomfort – do not risk, you should not use the mixture. 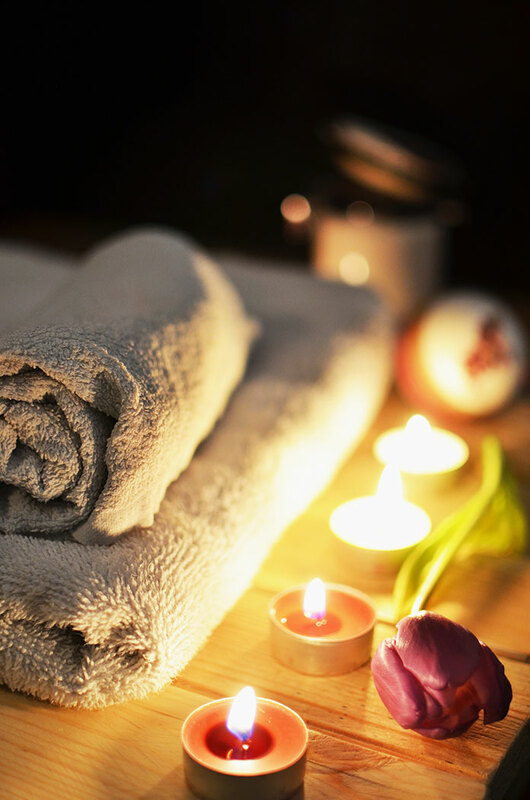 4) As with other homemade masks, the best preparation of the skin is steam cleansing. It is ideal to apply a soda mask after the bath and face bath on herbal infusions. 5) Applying a mask of soda to the face for cleansing is similar to the use of a scrub: with the same movements, you should massage the face areas with a slight effort for 2-3 minutes. 6) In any combination of components, the bicarbonate should be in contact with the skin of the face for no more than 10 minutes. This is the ideal time to keep the soda mixture on the face. 7) You can wash it off with both comfortable (not hot) water and herbal infusions. 8) No matter how enthusiastic the first impression may be, do not rush to repeat the procedure. For cleansing enough one per week. For the treatment of acne one time in 3 days, but the course is not more than 10 sessions. The break between courses – from 2 weeks to a month. Do not rush to cook the product around the eyes from soda, even the source of the recipe seems to be competent. This skin tone is too thin; it is the most fat-free. 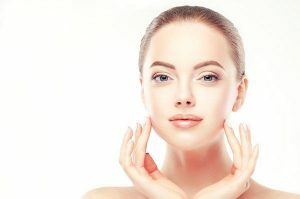 Sodium bicarbonate – too aggressive component to care for these skin areas. Soda face masks are usually effective, especially when you need to remove the feeling of fatigue and refresh yourself — bright abrasive properties that soda brings to the mixture for a homemade mask help to thoroughly clean the pores. And the elements of chemical composition – oxygen, carbon, hydrogen, and sodium – will be able to adjust the work of the facial sebaceous glands even for the oiliest skin. Components – soda, water (or gel wash). We measure them by eye; the result should be a gruel, which is convenient to put on the skin. This is an excellent alternative to home scrub. The mask perfectly copes with the very deep oil-mud “deposits” on the skin, removes the layer of dead skin epidermis scales. ⇒ Water or shower gel. ⇒ Mix all the ingredients and apply on face wait for 10-15 min. Then wash with cold water. ⇒ It is the salt that acts as an amplifier of cleansing properties, increasing the abrasive qualities of the mixture. ⇒ Therefore, in order not to injure the delicate skin areas, it is not necessary to press too much when applied. The classic recipe (the very first) diversifies flour or starch. ⇒ Mix all the ingredients to make the foam then apply on face. Wait for 5-7min. Then rinse with cold water. ⇒ Flour in this composition softens and reduces the aggressiveness of sodium bicarbonate. ⇒ While soda cleans the pores, flour torments them. ⇒ And instead of oily skin, we get smooth, healthy skin without a greasy gloss. ⇒ Inflammations in the acne areas after the first session will be stopped, and with further proper use, they will disappear. You need to take ready-made oat flour or grind a glass of cereal. Pour a teaspoon of soda and pour water to a slurry then apply on face. Wait for 5-7min. Then rinse with cold water. Soda cleans, oats nourishes, and it is the perfect balance for the dermis of the normal and fat type. Fresh orange and soda mixed in equal shares then apply on face. Wait for 5-7min. Then rinse with cold water. The mask effectively tightens the pores on the face; it invigorates it perfectly, thanks to the rich saturation with vitamin C.
Combine products and apply a little foaming gruel on the skin of the neck and face. For a fine, dry dermis, it is also a perfect cleanser. 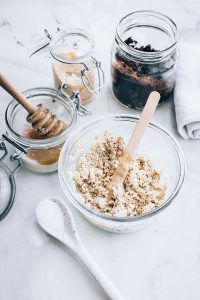 Dry and normal skin can be rejuvenated and cleaned on the same principle, but replace honey with a spoon of ground coffee. ⇒ Water is added to these two ingredients. Yeast (not dry) and soda should be taken equally, and water should be added to obtain a thick mixture. ⇒ Apply to the area of rash or point then apply on face. Wait for 5-7min. Then rinse with cold water. Soda cleans and dries well, and the yeast component helps to soothe and cure foci of inflammation. Baking soda is hyped as the beauty wonder drug. However, what can the white powder do? We asked a dentist and a dermatologist. Can I Bleach My Teeth With Baking Soda? Everyone has been talking for decades – the wisdom that you can bleach your teeth with baking soda. However, is that true? Also, how is that recommended? The enamel consists of 95% hydroxyapatite. He is, however, formed only once in our lives. If it is damaged or destroyed, no new coating is formed. Be careful, because the enamel is acid soluble! So if you use baking soda to lighten your teeth, you trigger a chemical process in your mouth. The soda contained in the baking soda reacts with the acid and attacks the tooth enamel! The enamel is roughened, and cracks can occur. We have Dr. Falk Schwendicke, a senior consultant in the Department of Dentistry and Preventive Dentistry at the Charité Berlin, asked: “I would not recommend it to my patients. Although baking soda does have an emery effect and can remove deposits from coffee or tea, teeth can not bleach. Cosmetic kinds of toothpaste basically do the same thing as baking soda, but again you have to be careful: many patients do not even know which defects they have in their mouths, for example, it can cause damage to exposed tooth necks. So it is better to go into expert hands and book teeth cleaning. Can I Use Baking Soda As A Facial Exfoliant? It sounds so easy: Put our favorite white powder on the hand moistened with water and spread it as a scrub on the dampened face with circular movements. Does it work? Because soda and baking soda contain abrasive particles, they act as a mechanical peel and can remove dead skin cells and small particles of dirt from the face. For the sensitive skin, however, you should be careful – our tip: add some washing to the scrub, so the whole is a little more supple and reduces the abrasion. Does Baking Soda Help Against Pimples? Numerous recipes for mixing a mask to help against pimples circulate on the Internet. A teaspoon of baking powder is mixed with two teaspoons of distilled water. Apply, leave on – and all impurities and dirt particles should be removed. Does it work? Backnatron can help neutralize the skin’s pH imbalances, which are a common cause of acne. It dries the skin by excess binding oil, which can lead to blackheads and acne breakouts. It also has mild anti-inflammatory and antiseptic properties, which should reduce the growth of pimples. Dr. says. Wolfgang Klee, Dermatologist from Mainz, commented: Natron has disinfectant properties, it can be used effectively against blemishes, if it is used as a mask, it should be applied carefully to the soda I recommend a ten-minute exposure Wash thoroughly with lukewarm water, pat dry with a clean towel and then, as soda dries out the skin, apply a mild moisturizer. Skin bacteria need an acidic environment to grow and survive. Being naturally alkaline, soda interferes with the growth of bacteria on the skin (without disturbing the pH of the skin) and effectively helps against the triggers of acne. At the same time, soda, with its mild antiseptic and anti-inflammatory properties, helps reduce inflammation of the skin. Whether as exfoliation or a homemade face mask, Natron opens the skin pores, eliminates dead skin cells and removes impurities and oily secretions from the outer skin layer. One of the internets scoops with baking soda: The armpits, whose skin sometimes has a brownish color, should be lightened with the help of baking soda. Also, this is how it works: Mix baking soda with some coconut oil to scrub and apply under the arms. However, why? The reason for the discolored skin may have been accumulated under the armpits. Exfoliation can reduce the dark appearance of these areas of the skin. Sodium hydrogen carbonate should be able to bind unpleasant odors. Also, it should include body odors. Easy to do: Dust some powder on a cotton ball and dabbed the armpit. Alternatively, mix the spray variant: soda in lukewarm, never hot water, dissolve with constant stirring. Caution: Soda becomes over 50 ° to caustic soda – and can even decompose the skin, Fill into a spray bottle. If you like, you can still add lemon, lavender or tea tree oil. Our conclusion to this tip: As deodorant quite usable, it does not stop the sweat flow of course like an aluminum salt-containing industrial deodorant, but that’s why this ecological deodorant is quite an alternative. Soda Makes Your Hair Brighter And Fuller – Is That True? What are we reading on a health platform? Strain your shampoo in your hand with a little soda and wash your hair, as usual, making your hair brighter and fuller. That’s what we say: The exfoliating effect of Nature roughens the hair structure of course – why it probably comes to the statement “fuller.” However, this is not healthy for the hair. Also, why “lighter”? Such a self-applied exfoliating shampoo acts horn-releasing, it opens the hair and absorbs excess color. This works only with dyed hair. Untreated hair will not be brighter. Oily hair is caused, among other things, by an overproduction of the oil on the scalp. Baking powder helps to wash off the oil and grease on the hair and makes the hair clean and soft. Natron absorbs the oil naturally through the scalp and acts as a natural dry shampoo. At the same time, it eliminates all the dirt and grime in your hair and helps flush out harmful chemicals and substances from hair styling products. At the same time, this miracle powder removes excess dandruff on the scalp and cleanses the scalp. Soda masks are effective in any spectrum of action, be it cleansing, acne treatment, rejuvenation, etc. Their effectiveness is directly dependent on the type of dermis and the problem, for the elimination of which efforts were made. Therefore, it is important to consult with dermatologists and follow the general rules for the use of soda in home cosmetology.